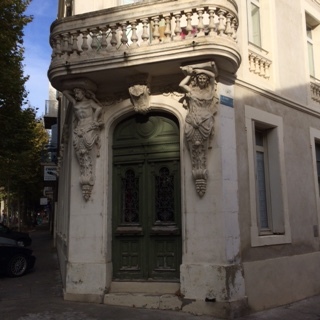 Having just returned from getting my ‘France fix’, I am very happy – understatement! My week (with MFF) started in Toulouse, continued with two stays alongside the Canal du Midi, and ended back where we started. This gave us the opportunity to discover, what we now know, is the wonderful city of Toulouse. This was our first holiday, without our sons, for over twenty three years! 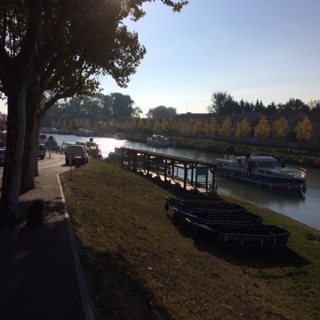 Having collected a hire car, at the airport, we headed for our first destination; Castelnaudary which is an important port on the Canal du Midi. 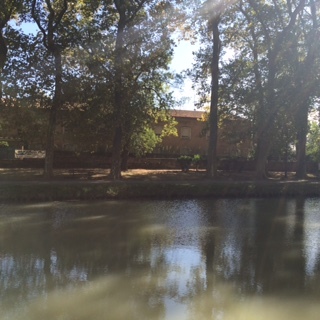 Although we know the ‘other end’ of the Canal du Midi, this is our first visit to this part. I was particularly delighted because our hotel room overlooked the Canal – my idea of heaven! We walked miles and miles during our stay in Castelnaudary! The section of the town around the Grand Bassin – the old ‘canal port’ – is visually the most impressive part of Castelnaudary, although the rest of this lovely town is also well worth exploring. The port has been awarded the ‘pavillon bleu’ (the ‘blue flag’ award, this is more commonly associated with beaches than inland harbours). The centre of the old town is around the Place de Verdun, a leafy square surrounded by shops and cafés. The square and surrounding streets also contain some interesting and decorative 18th – 19th century grand townhouses. In recent times, I’ve taken to looking up as I walk around. There is so much fascinating architecture and detail to be seen. A word of warning, however, this can be lethal, as the French appear to be blinkered when it comes to clearing up after their dogs! Has anyone reading this ever visited Castelnaudary? I’d love to know!